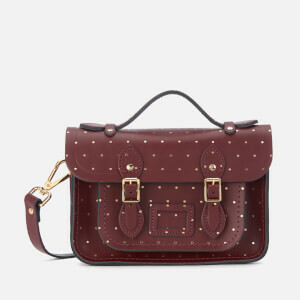 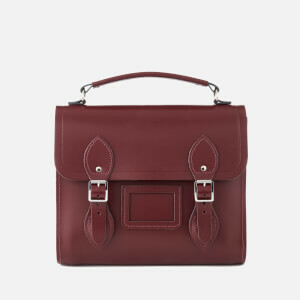 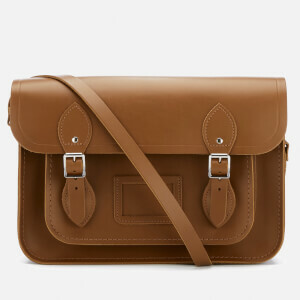 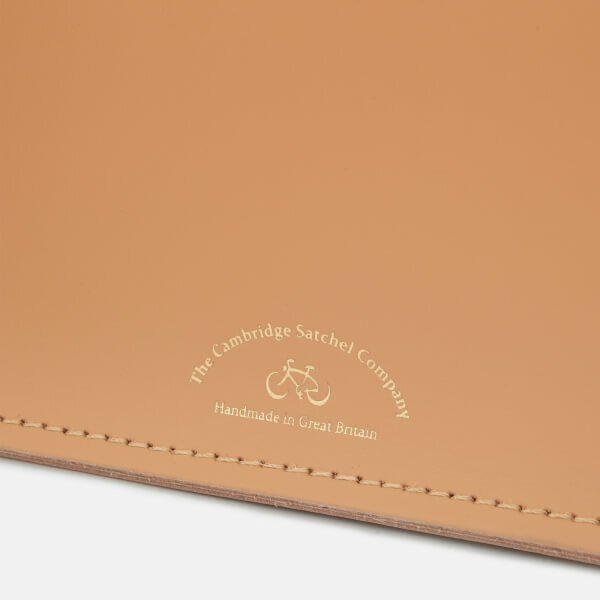 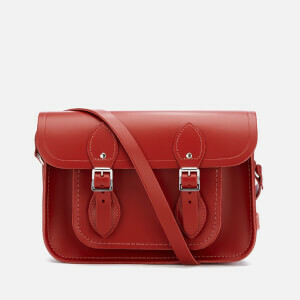 The Cambridge Satchel Company's 11 Inch Batchel showcases a characteristic construction that combines features from a satchel and briefcase. 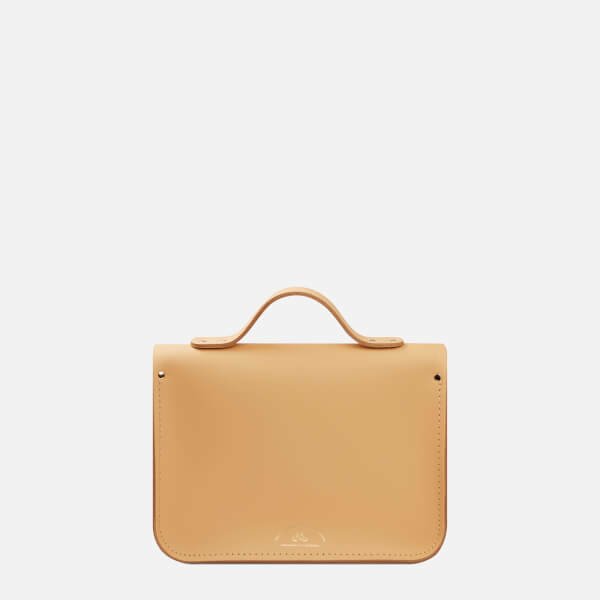 Crafted from smooth leather with a matte finish, the bag comprises a front flap and two magnetic straps that open to reveal the main compartment and an external front pocket for additional storage. 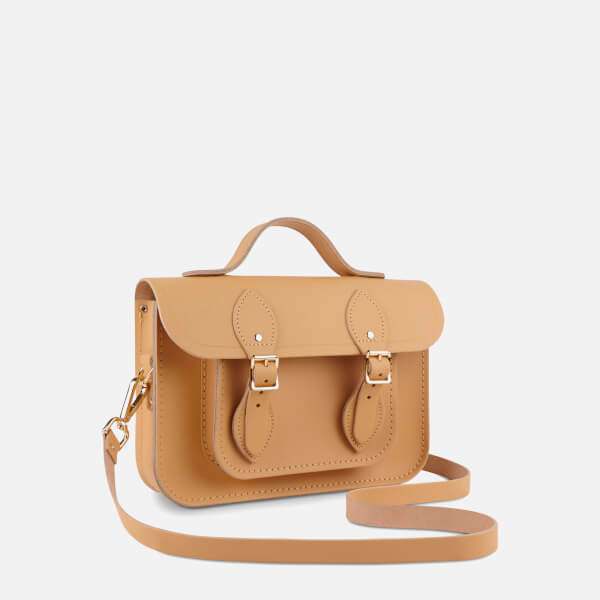 A top handle and adjustable, detachable shoulder strap offer versatile carrying options. 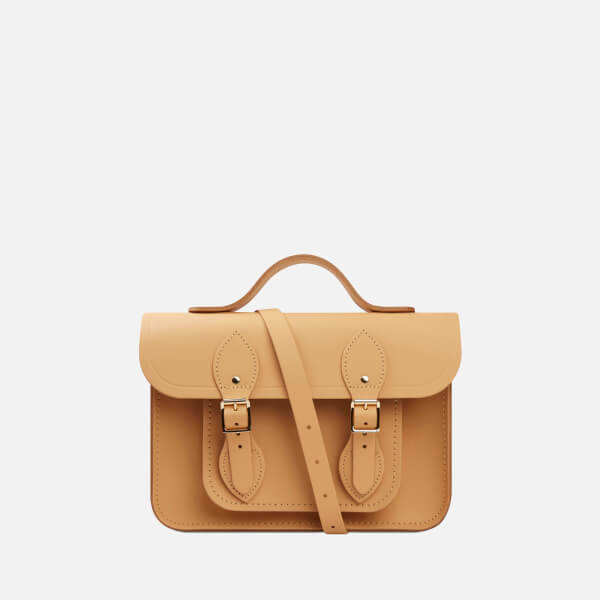 Finished with stitched detailing and pale gold-toned hardware.